On June 12, we had the first get-together for Chiba University students. We ordered pizza and spent the time to get to know each other. Some students have never been abroad, so this was a good opportunity for them to share their worries and ask questions about traveling to a foreign country. 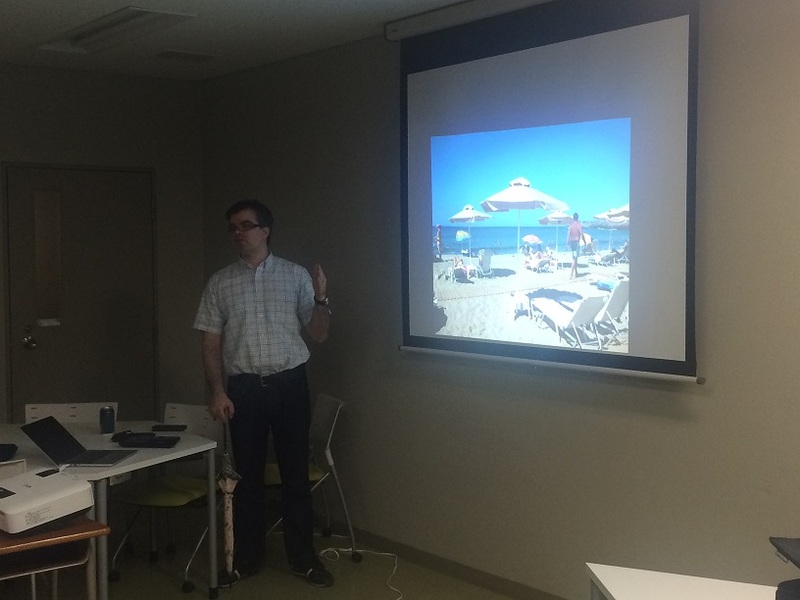 We also had a small presentation about Greece in the summer season, using photos from Ioannis’ summer holidays.